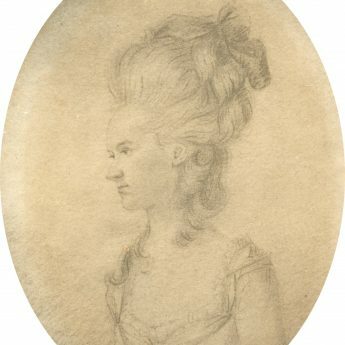 This skillfully sketched portrait depicts an elegant lady wearing a décolleté gown with narrow sleeves, the bodice fastened with a ribbon bow. 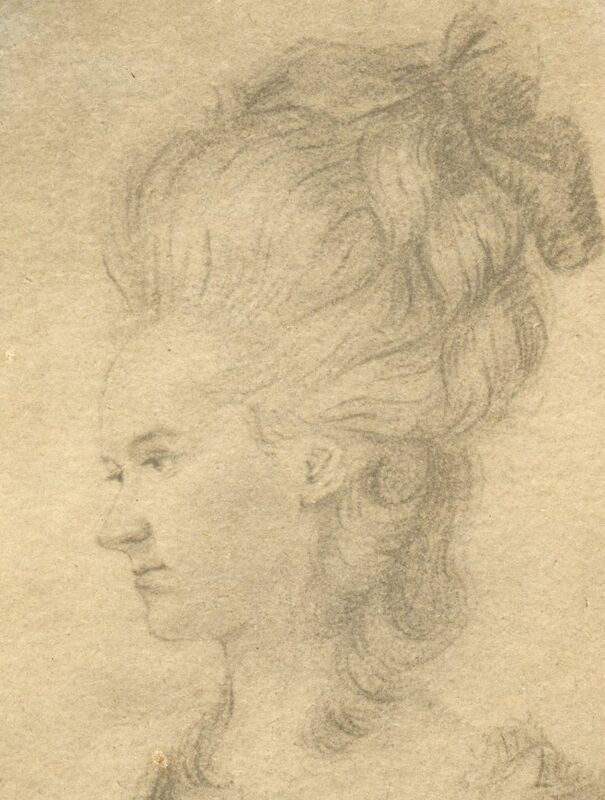 Her curled hair is swept up over ‘cushions’ or pads (these were often stuffed with horsehair) to create height and softened with curls tumbling on to her shoulder. 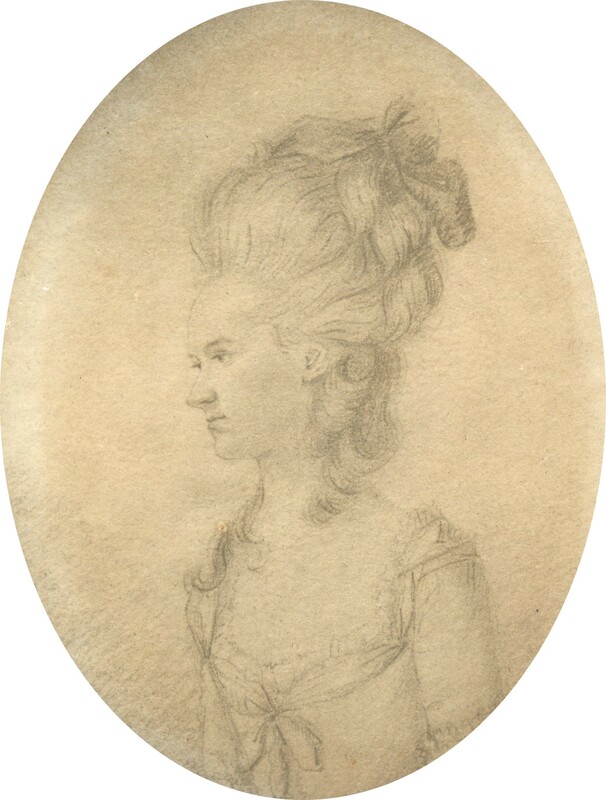 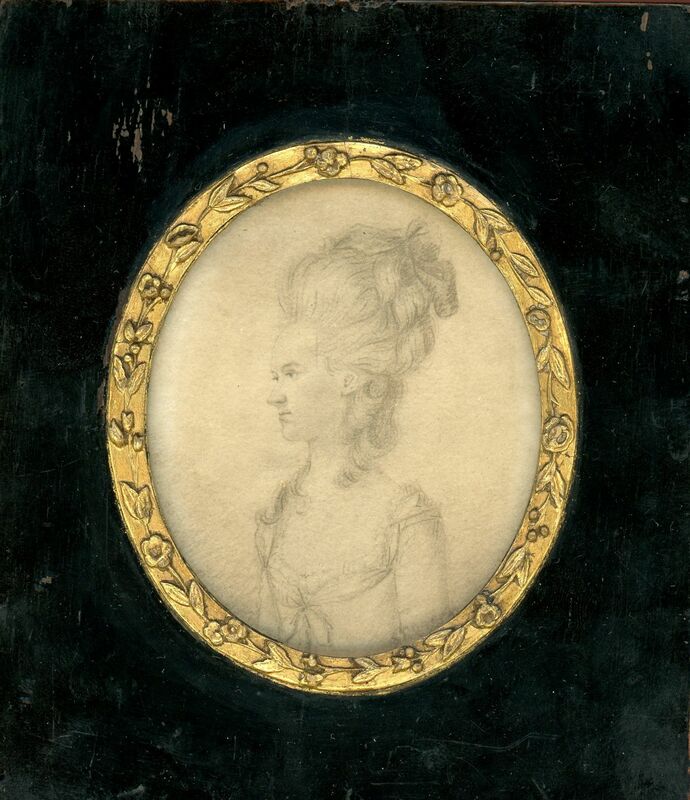 The portrait is unsigned and may have been a preliminary sketch for a miniature portrait on ivory. 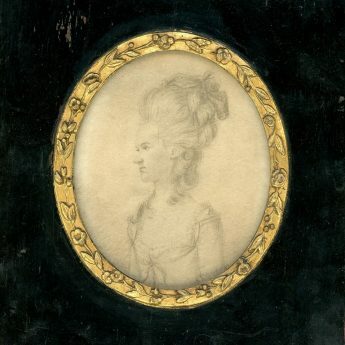 It is currently presented in a later ebonised frame with a decorative giltwood surround.